Well it has been a while since the last update so I might as well dive right in. 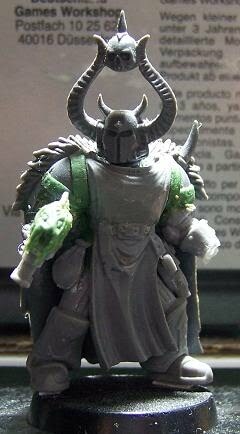 As some of you may remember I was toying around with ideas of building some small Kill-Teamesuqe forces, starting with a Slaaneshi CSM group. Now I was originally going with the old Astro Mag Kill-Team rules, but those are in need of a wee update and do lack a bit of scenario support. Which is where Killzone comes in! I've been given the homebrewn ruleset of Killzone a shot and I'm really liking it. I just love going all out on just a handful of minis, something I have no time or energy for when it comes to a normal-sized force. What's also great it that I can even build two 'armies' all by myself and invite a buddy over for a few quick scenarios, no more emmigration-like trails just to get to a game! And I definitely agree with what BSMoove said: "Point is, for me it's about using models you don't use often... or even at all. I've been wanting a reason to paint this model since 1991. Killzone gave me that excuse." This ruleset allows me to dive into armies I normally wouldn't be able to touch, make us of outlandish minis and conversion and may even draw some of my old gaming buddies back into the scene. Time will tell if this ruleset will end up influencing my gaming experience, but it definitely see the tons of potential for even a small-time gamer as myself. 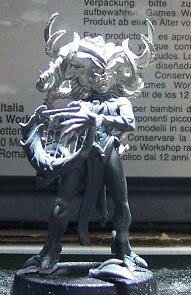 So 12 highly individualised miniatures that will be a blast to build and paint, good times all round. 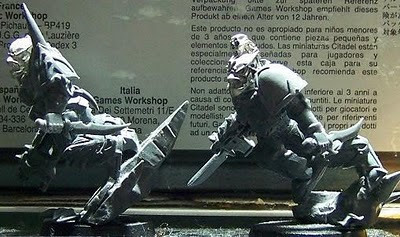 - Ork Freebooters - those guys are everywhere, especially when there are enough high tech weapons and teef! Thanks for reading and keep gaming! These conversions are absolutely stunning. They have real character and personality, each one. Brilliant work. Thank you, also, for the kind words. I hope you enjoy Killzone as much as I have these past few weeks. Thanks mate, I've spent way too much time on each and every one of them. They were initially intended to be a special chaos Cult group for an Iron Warrior army. When Apocalypse came out I started expanding my old army with random cult troops for the hell of it. With the Killzone rules I may be able to resurrect all of them. Now I just wish I had time to actually finish something, between work, my studies and the occasional social event (yes, it happends every now and then) I have virtually no painting time. Add that my painting speed would make a turtoise look fast and it becomes frustrating quite fast. 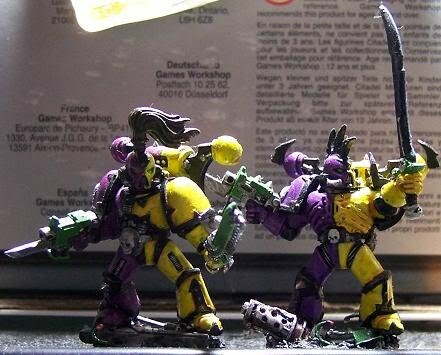 Luckily the blogsphere and some forum traveling do wonders to keep the hobby interesting! Pretty cool stuff! Glad you're liking Killzone! what are these "social events" you mentioned? I remember something like that from long ago. ha.